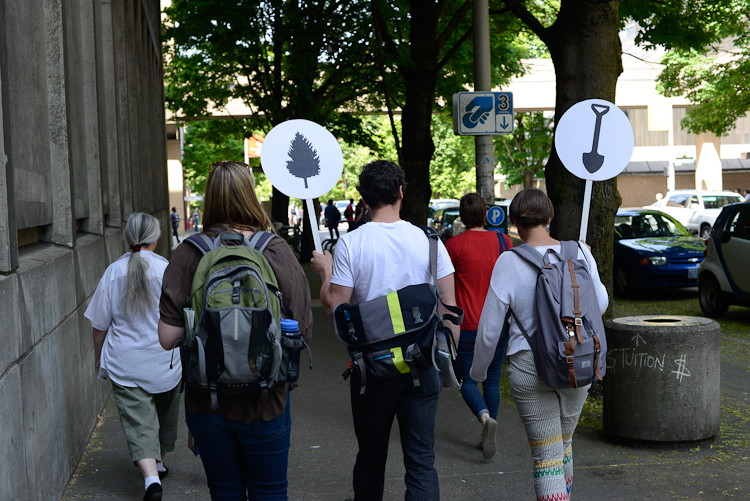 For the series, I collaborated with several ecologists to develop an education program centered on urban ecosystems. The participants were mostly artists in Portland for the Open Engagement conference. I encouraged anyone who was interested to attend, including people who joined us as we walked. I also invited tourgoers to share their own knowledge, experiences, and stories related to the tour themes: birds, gardens, trees, invasive species. Using these starting points the project shed new light on the urban ecological landscape inviting participants to refine their sense of place. With this project I am blurring the lines between artist and curator through the form of the tour. A tour is pointing out what is already there but perhaps goes unnoticed because of a lack of knowledge, separation or disassociation from the place often because it is secret or hidden. By using the form of a tour, a form that everyone is familiar with, I can introduce places and information that are all around but that we can't notice because we don't know how. 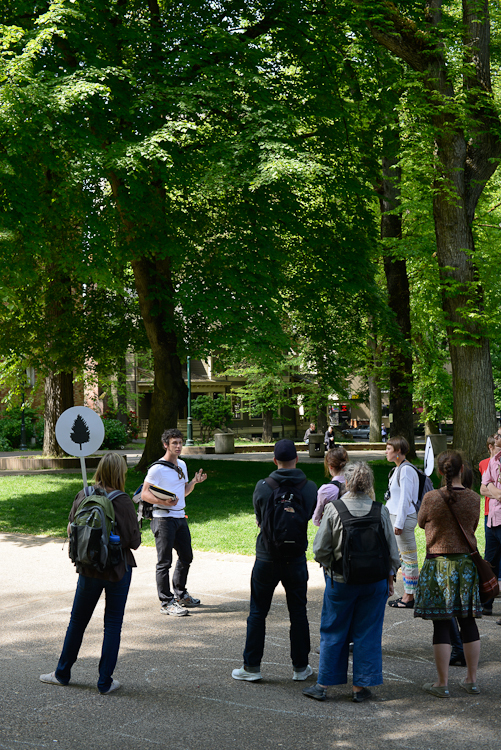 The tour series is a collaboration with ecologists to develop an education program centered on urban ecosystems. The participants were mostly artists in Portland for the Open Engagement conference. I also invited tourgoers to share their own knowledge, experiences, and stories related to the tour themes: birds, gardens, trees, invasive species. I developed these signs as indicators of what we were discussing on each tour. You can see the Historic Trees and the Urban Gardens tour signs here. Using these starting points the project shed new light on the urban ecological landscape inviting participants to refine their sense of place. I encouraged anyone who was interested to attend, including people who joined us as we walked.